Dr. Adams is a behavioral scientist with a background in psychology and public health. His research focuses on the influence of place on health behaviors, especially as walking for transport and recreation, for the prevention of chronic diseases. Dr. Adams' research, supported by the American Heart Association and National Institutes of Health, has examined the joint influence of walkable, transit-oriented, recreation-friendly characteristics on physical activity levels of people across the life span. Dr. Adams is a member of the International Physical Activity and Built Environment Network (IPEN) and coordinates GIS-measures of two NIH-funded international studies of urban form and physical activity. 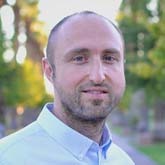 Dr. Adams is faculty in the Exercise and Science and Health Promotion program in the School of Nutrition and Health Promotion at ASU and also an academic editor of the journal PLOS ONE.